Enclosure for 3D Scanner by Walter Hsiao « Adafruit Industries – Makers, hackers, artists, designers and engineers! Whitney Potter, a.k.a. Shapespeare, a.k.a. 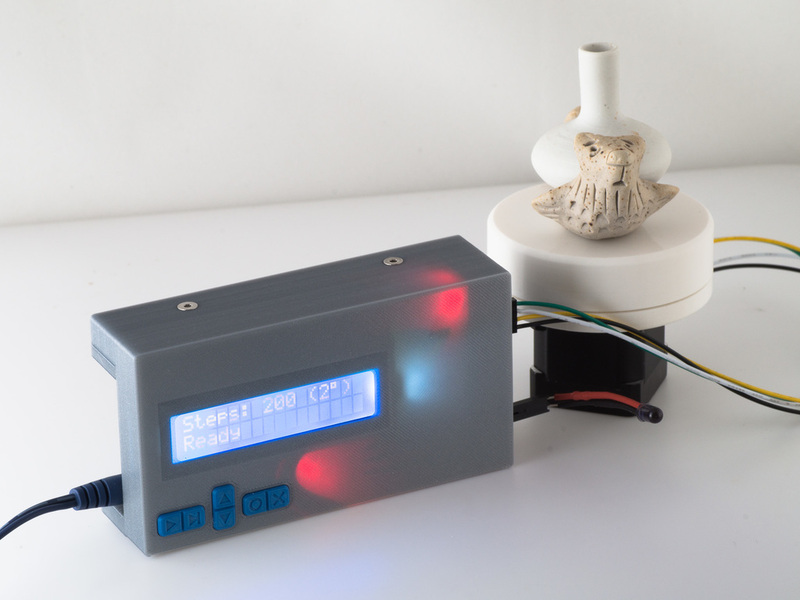 cohost of 3D Printing Today Podcast, created an Arduino driven photo capture system for photogrammetry and published an Instructable on how to build your own. You can find all the information on building, wiring, parts, etc in the original post. The parts here will make more sense after reading that post.